The Rule of Three is used as a guideline in interior design. 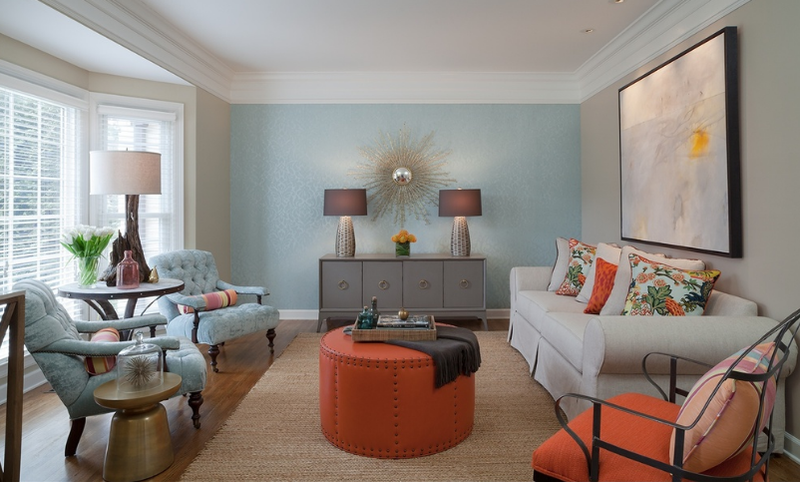 Decor, artwork, furniture placement, and accent colors look best when situated in groups of three. Nashville interior designer, Jamie Beckwith, is renowned in the industry for her perfectly executed rooms and her use of the Rule of Three. Beckwith is masterful when it comes to applying this rule to accent colors too. Pictured above is one of her beautifully crafted spaces of symmetry and color. The space utilizes two accent colors – blue and orange – in equal quantities to reflect perfect balance. While the Rule of Three applies to all aspects of the design process, let’s focus on accent color for now. 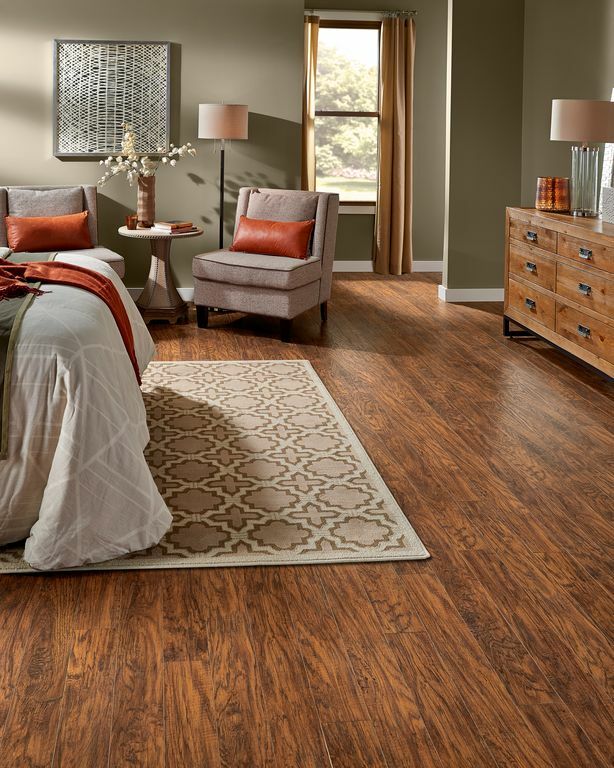 The accent color – or colors – should be sprinkled around the space, with the accent color being prominent in three areas of the room. The color may be used in more than three areas, but a minimum of three is required to produce the Rule of Three. Below are five room designs that show how one should implement the Rule of Three when inserting accent colors in one’s space. Sprinkle accent colors around the entire space. From the living area to the kitchen, turquoise accents are seen in the artwork, decor, side table book, and kitchen items. “Well, one does want a hint of color.” Thank you, Armand Goldman, portrayed by Nathan Lane, for reminding us of this. A neutral room takes on an energetic tone with the simple addition of burnt orange accents. Is the accent color blue or green? Blue is the clear accent color in this space as it can be seen as the Rule of Three in the curtains, pillow, and artwork. Green – with white – is actually the main color of the space. Blue may seem like the main color, but is it? Just count how many times blue appears – chairs, vases and art in this space. The Rule of Three reigns supreme in the interior design world and it’s easy to see why. Fuchsia makes a bold statement here. By mixing this bold color with simple white bedding, the bed itself makes a huge statement. Again, the Rule of Three is applied, appearing in the bedding, the flowers on the bedside tables, and the magnificent wallpaper.